William Shatner, the actor who played Captain James T. Kirk on the original Star Trek television series, provided a special message to the crew of space shuttle Discovery during the 3:23 a.m. EST wakeup call on Mon., Mar. 7. 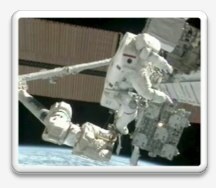 Astronauts aboard STS-133 are wrapping up a series of scheduled spacewalks, or extravehicular activities. When astronauts venture outside of their spacecraft, they need spacesuits to protect them from the solar radiation, the cold temperatures of space and fast-moving particles called micrometeoroids. Check out a great activity called Potato Astronaut: Spacesuit. 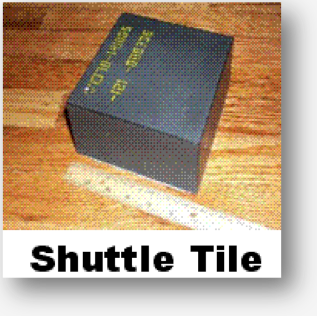 Students investigate the effects of high-speed simulated micrometeoroid impacts and penetration depth. They also learn how layered materials protect astronauts. You will find the activity in the Lunar Nautics: Designing a Mission to Live and Work on the Moon Educator Guide on Page 133. See additional activities in NEON. Register, log in, join the NASA Explorer Schools group, and find Lunar Nautics: Designing a Mission to Live and Work on the Moon. The activity is available in that forum. During this unique episode of NASA Now, astronaut and veteran spacewalker Mike Foreman describes his experiences from liftoff to living and working in space. He was selected to be an astronaut in 1998. He flew on space shuttle Endeavour in March 2008, and he returned to the station on space shuttle Atlantis in November 2009. Foreman has logged over 637 hours in space, with over 32 of those hours in a spacesuit during five spacewalks. Watch this episode of NASA Now beginning on Nov. 3 by visiting the NES Virtual Campus website. Discovery will carry a crew of six to and from the space station – Lindsey, Pilot Eric Boe, and Mission Specialists Alvin Drew, Tim Kopra, Michael Barratt and Nicole Stott – as well as what used to be the Leonardo Multipurpose Module on a one-way trip. It’s now called the Permanent Multipurpose Module, and rather than returning, it will stay attached to the station’s Unity node to provide extra storage for the space station. And though the concept of a closet in space may not sound too exciting, it’s becoming more important all the time. Following the STS-133 mission, Discovery will be the first of the shuttle fleet to retire. By the end of STS-133, 180 people will also have flown aboard Discovery, including the first female shuttle pilot and the first female shuttle commander (who happen to be the same person – Eileen Collins), the first African American spacewalker (Bernard Harris) and the first sitting member of congress to fly in space (Jake Garn). 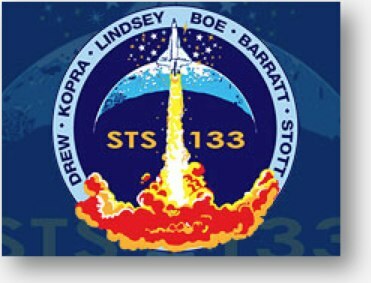 Keep up with STS-133 by visiting the mission website. Date and time to be determined, based on the STS-133 launch schedule: Join hosts Damon Talley and Rachel Power LIVE onthe Web from NASA’s Kennedy Space Center for the launch of STS-133 and learnabout the mission and crew. Theshuttle Discovery’s mission will carry Robonaut 2, the Permanent MultipurposeModule, and the Express Logistics Carrier 4 to the International Space Station.STS-133 will be the 35th shuttle mission to the station. Submitquestions, both leading up to and during the LaunchCast, at nasalearn@gmail.com. Questions will be answered during the live webcast! 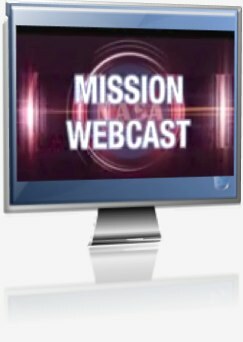 Towatch the webcast, go to http://dln.nasa.gov/dlnapp/webcast/webcast.do. 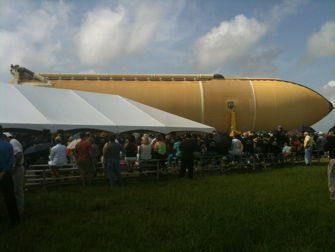 To get the latest information about the launch and progress of STS-133, visit the mission website.